Blu News – More Lang on the way! I’m delighted to see listings appearing online for a new Blu-ray/DVD combo release for Fritz Lang’s 1954 film Human Desire. 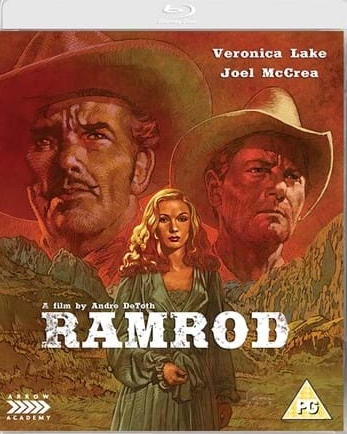 I reckon this is an underrated movie and am pleased to see UK boutique label Eureka including it in their Masters of Cinema line in February. It’s a welcome follow up to their January slate of Laura and Hush… Hush, Sweet Charlotte. As part of his ongoing investigations into the wonders, intricacies and delights of classic detective fiction, JJ has hosted a number of spoiler heavy discussions on a range of notable works. I’ve enjoyed reading along and adding the odd comment when I thought I could sneak one in as unobtrusively as possible amid a lot of well-informed contributions from people who are far better read than I, and so it was very flattering to be asked to participate in one myself! 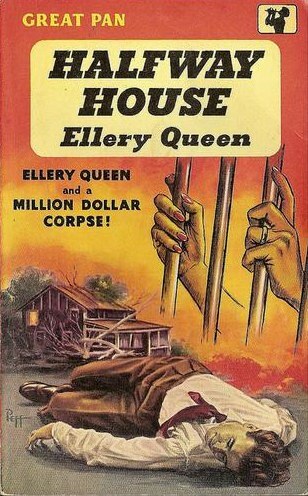 Anyway, to cut to the chase, next Saturday, if all goes well, should see JJ posting the chat he and I had about the 1936 Ellery Queen novel Halfway House, as announced here. I’ll put up a link here when it goes live, but wanted to flag it up in advance for anyone interested in perusing our back and forth. Just been made aware of this event in February (with a follow-up scheduled for the summer) which highlights the restoration of the Republic Pictures library. Some of the names featured, and indeed the studio itself, will be well known and equally well regarded by regular visitors to this site. For instance, there’s Frank Borzage, George Sherman, Allan Dwan, Joe Kane, William Witney and others. Sounds great – more here. It’s just come to my attention that Ralph Nelson’s gritty 1966 western Duel at Diablo is being released on Blu-ray by Koch Media in Germany at the end of March. It’s already had a US release but this is welcome news for those of us in Europe looking for a Region B version. I remember writing about the film almost a decade ago (!) and I was ambivalent about it at the time. It’s grown on me some since then and I feel better about it now, and that Neal Hefti score. FIRST PRESSING ONLY: Illustrated collector’s booklet featuring new writing on the film by Adrian Danks, contemporary reviews and production stories.